Currently, the global market for latex medical disposables is in its budding stage; however, it is poised to undergo a phase of positive transformation over the next few years. The ongoing research and advancements in latex medical disposables and the increasing investments to augment the research activities for the development of highly efficient disposables are expected to boost this market substantially in the near future. With the growing demand for electric vehicles, the market for Latex medical disposables is witnessing a significant rise across the world. The augmenting usage of Latex medical disposables in the medical and healthcare industry is likely to act as a catalyst to this market in the coming years. The stringent government policies regarding the protection of the environment is also projected to aid this market over the next few years. The global Latex medical disposables market is gaining significantly from the rising awareness among consumers regarding the advantages these disposables can offer to environment against the regular disposables, as they are more hygienic and eco-friendly. Apart from this, the augmented usage of Latex medical disposables in minimally invasive surgeries is also projected to boost this market substantially in the years to come. Overall, the future of the worldwide market for Latex medical disposables looks bright. However, the high costs of these disposables may create hindrances for this market over the forthcoming years. 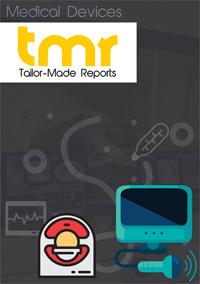 The global market for Latex medical disposables reports its presence across Europe, North America, Asia Pacific (APAC), and the Rest of the World (RoW). China, India, Japan, Australia, and New Zealand have surfaced as the leading domestic market for latex medical disposables in Asia Pacific. The North America market for latex medical disposables is led by the U.S. and Canada. Germany, France, Spain, the U.K., Russia, and Italy are the key local markets in Europe. The Middle East and Africa market is segmented into South Africa, the U.A.E, and Saudi Arabia. The global latex medical disposable market is fragmented and competitive in nature with a large pool of players. Medtronic plc, C. R. Bard, Inc., B. Braun Melsungen AG, Supermax Corporation Berhad, Dynarex Corp., Hartalega Holdings Berhad, Top Glove Corp., and Ansell are some of the leading players in this market.